Another meeting, hastily called due to the extremely tight schedule of the national planning inspectorate, attracted around 150 Herne Bay residents. Herne Bay, aligned with the runway at Manston, is also under threat of RSP’s proposals for a huge 24/7 cargo hub airport. Residents came to hear NNF committee members outline that threat, explain where we are in the DCO process and what they can do to make sure they are registered as interested parties. If you are new to this page, please read preceding blog posts to find out what you need to do if you are against the proposals. Quick link here to register directly with PINS. At the meeting, Chris Wells, former Leader at Thanet District Council, explained how as a supporter of restoring an airport at Manston he became convinced that Manston does not have a viable future as an airport. I have never seen such an act of conscious self-delusion as local councillors entertain on this subject. Opinion replaces fact as a matter of course. The case for Manston does not stack up and there is no independent evidence to support the freight hub proposals. None. Indeed, RSP’s forecast supporting their case has been derided by those on whose work it is based. Residents were grateful for the information they were handed out at the meeting and asked thoughtful questions to help guide their applications. Act now before it is too late. You have until 8th October to apply to PINS to register as an interested party. You should use RSP’s application as a basis for your concerns, outlining which areas you feel are most in need of thorough examination and interrogation by the examining authority. Over 400 people turned out on a Friday night in Ramsgate last night to hear about what they needed to do as ‘interested parties’ in the Development Consent Order (DCO) process. There is a less than 30 day window for anyone negatively affected by the proposals in the application from RiverOak Strategic Partners (RSP) to register with the national planning inspectorate (PINS) as an interested party. The room was packed, with all chairs filled, more being set out and standing around the room and out of the door. See our previous post about how to register – either as an individual or as a member of a concerned group e.g. School parents, residents’ association, music studio workers, Brownie group and so on. NNF Guidance on registering here. 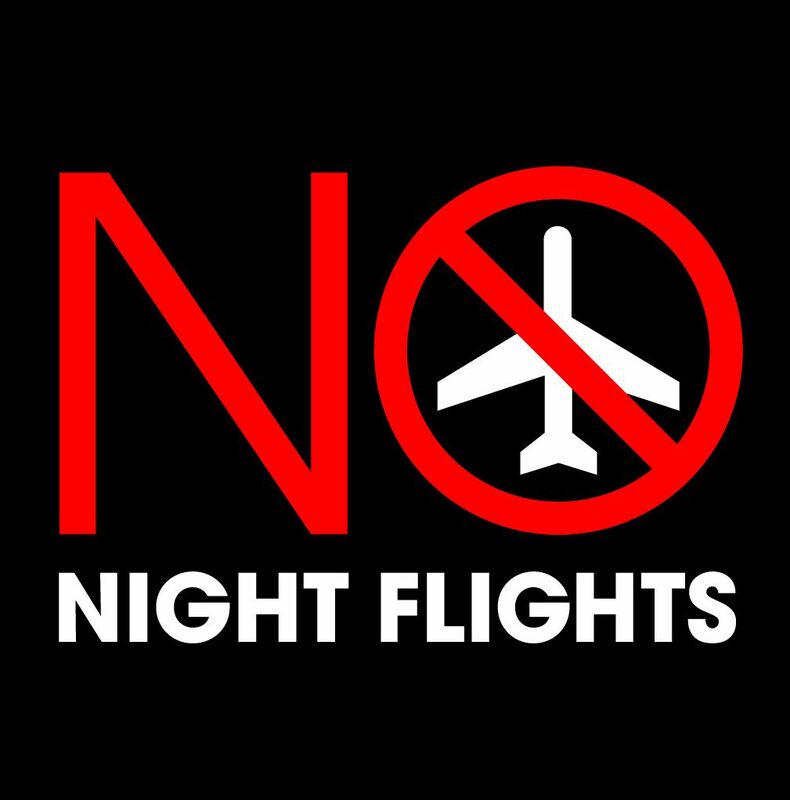 The meeting heard from committee members of No Night Flights. The background to the failed airport was outlined as an update on where we are now and how we got here. An overwhelming majority of residents in the hall remember the misery of flights overhead when the airport was open and that was with very few flights annually. There was anger, frustration, sorrow and fear expressed in the room. Paul Luxmoore, Executive Headteacher of Coastal Communities Academies, responsible for many schools in Thanet, spoke powerfully about the damage this proposal would inflict on the children of Thanet. He said that ‘he shuddered’ to think of the negative impact on their education, their life opportunities, their health. A large-scale statistical analysis of the health effects of aircraft noise was undertaken in the late 2000s by Bernhard Greiser for the Umweltbundesamt, Germany’s central environmental office. The health data of over one million residents around the Cologne airport were analysed for health effects correlating with aircraft noise. The results were then corrected for other noise influences in the residential areas, and for socioeconomic factors, to reduce possible skewing of the data. The study concluded that aircraft noise clearly and significantly impairs health, with, for example, a day-time average sound pressure level of 60 decibel increasing coronary heart disease by 61% in men and 80% in women. As another indicator, a night-time average sound pressure level of 55 decibel increased the risk of heart attacks by 66% in men and 139% in women. Statistically significant health effects did however start as early as from an average sound pressure level of 40 decibel. The researchers at Imperial found that volunteers’ blood pressure increased noticeably after they experienced a ‘noise event’ – a noise louder than 35 decibels – such as aircraft travelling overhead, traffic passing outside, or a partner snoring. This effect could be seen even if the volunteer remained asleep and so was not consciously disturbed.Aircraft noise events caused an average increase in systolic blood pressure of 6.2 mmHg and an average increase in diastolic blood pressure of 7.4 mmHg. Similar increases in blood pressure were seen also for other noise sources such as road traffic. The researchers found that the increase in blood pressure was related to the loudness of the noise, so that a greater increase in blood pressure could be seen where the noise level was higher. For example, for every 5dB increase in aircraft noise at its loudest point, there was an increase of 0.66 mmHg in systolic blood pressure. What is a ‘noise event’? Any noise louder than 35 decibels. Blood pressure increases after people experience a ‘noise event’ even if they remain asleep. A study, published in the journal Environmental Health Perspectives, showed that an increase in night-time aeroplane noise of 10dB increased the risk of high blood pressure by 14 per cent in both men and women. D: Exposure to noise has hormonal and somatic-nervous effects. During the day-time the body has defence mechanisms to resist stressful noise. Then, the somatic nervous system is in a phase of production or performance in which the body is used to work and disregard what disturbs. Q: And what happens during the night? T: While sleeping, during the Vagus phase of the somatic nervous system, everything is being done that was put aside or left over from the day. D: During the night the waste material of the cells (cell garbage) is being processed, mental as well as physical. Because of that, dream phases are indispensable. T: Sleep occurs in specific cycles and nocturnal aircraft noise chops up these cycles. D: The recycling work is being blocked or simply said: the cells cannot regenerate, the head is not decongested. Garbage piles up. This leads to disorders of the heart and blood circulation system, the metabolism, the lipids, the immune system and the digestive functions. T: In people who are chronically exposed to noise the risk of a noise-induced myocardial infarction is 10 times higher than the generally known health risk of cancerous air pollutants. Furthermore, aircraft noise can also lead to considerable hormone shifts and disorders in pregnant women. Bernhard Greiser for the Umweltbundesamt, Germany’s central environmental office 2009. The study showed that aircraft noise clearly and significantly impairs health, with, for example, a day-time average sound pressure level of 60 decibels increasing coronary heart disease by 61% in men and 80% in women. As another indicator, a night-time average sound pressure level of 55 decibels increased the risk of heart attacks by 66% in men and 139% in women. Statistically significant health effects did however start as early as from an average sound pressure level of 40 decibels. Read full info below but quick link here to register directly with PINS. A quick update on the Manston Development Consent Order (DCO) process. 14/08/18 PINS announces acceptance of the application (just within the statutory deadline). For a summary of relevant reasons for acceptance see PINS checklist from p4 here. 03/09/18 – 08/10/18 (30 days from applicant publishing acceptance of application) interested parties may register directly with PINS. NNF guidance on registering – here. Before 03/12/18 (within 3 months of publishing acceptance) an Examining Authority (EA) Inspector(s) appointed to assess issues. Shortly after 03/12/18 EA invites interested parties to Preliminary Meeting. Three weeks from EA invitation to interested parties (perhaps late December 2018) Preliminary Meeting held to set procedure plus detailed timetable and deadlines for submissions to Examination. 6 week window for Judicial Review in the High Court. WE ARE AT THE PRE-EXAMINATION STAGE. It is at this stage that, before 8th October 2018, all interested parties need to apply to PINS to be registered. Being registered means that you can contribute at the Examination stage of the process. If you do not apply to be registered as an interested party before 8th October, you will have no further opportunity to contribute your views. The information you include in the representation section of this form will be used by the Examining Authority to carry out their initial assessment of principal issues and to decide the best way to examine the application. On a scale of 1-10 how surprised are you? We learn today that RSP has withdrawn its application to the Planning Inspectorate for a Development Consent Order for the Manston site. Whaaaaaat? – we hear you cry. Yes, yet again their cast-iron, superbly-professional, expertly-put-together portfolio of evidence and business plans seems to fail to pass muster. Why do we conclude this? Well, the letter produced below says that they will be resubmitting. Why withdraw in the first place? It can only be, surely, that they’ve been given the nod, or have worked out for themselves, that their submission is unlikely to be passed in its current form. Yes, current form – the thousands and thousands of pages of documentation that they have consistently assured their followers would guarantee smooth and swift passage. So, is it the inadequacy of their consultation that is being called into question? We certainly hope so. Does it have anything to do with the fact that Stone Hill Park has submitted more detailed plans to Thanet District Council (TDC), plans that are likely to have more substance as regards environmental impact assessments and that will be publicly available shortly? Hmmmm. What IS Kent County Council’s view on Manston? With potential now, given Sajiv Javid’s recent letter to TDC (see previous blog post), for KCC to play a role in getting a Local Plan for Thanet approved, many are asking about KCC’s view. Over the years, the Conservative-run KCC supported the development of Manston as an airport believing that it could be a major contributor to the East Kent and wider economy. Facts, evidence and circumstance changed their mind. In 2015, this was Paul Carter, Leader of the Council, on the changed view at the end of a damning report on both the failure of Manston over the years and the prospects of RSP, particularly when set against the owners’ record. The full report can be found here. “The truth is that Manston has failed over a prolonged period of time to run as a commercially successful airport. Kent County Council gave strong support to various investors but the reality of commercial aviation at Manston Airport led to very significant losses. In fact, in the 16 years since it was taken into privately ownership it has incurred losses by those who have tried to operate it in excess of £100 million. The objective now must therefore be to make sure that we have owners who want to do exciting things on the site and that the land is not left abandoned. Bristow Group had chosen Manston as its location for the regional search and rescue base; when the airport closed the company decided to locate that base at Lydd. Kent County Council is pleased that this vital service will still be located in Kent. Lydd Airport is also starting a substantial investment programme to extend its runway and construct new aviation facilities. No Night Flights repeatedly, over the years, sought to produce evidence to help change the minds of Paul Carter and others at KCC. Given overwhelming evidence and conversations with owners’ Infratil and Ann Gloag following the demise of the airport, Carter and the administration at KCC became convinced that there was no viable aviation option at Manston, that there were no viable operators with viable plans, that the owners had credible alternative plans and that the economies and communities in Thanet, East Kent and wider Kent deserved real investment and real regeneration.